The last couple of weeks have been a bit crazy for me. My days have been jam-packed with trips, meetings, planning events, landing new clients, working on my business, and one project after another. I’m not sure if it’s the transition of the seasons or if there’s something in the water. Either way, it’s been busier around here than normal. I am usually able to maintain calm and focus in the midst of a fast-paced day, but the last month has put my abilities to a test. Of course, I stayed pretty calm through it all, but the stress levels were definitely higher than I cared to have. So after all of that, I realized I needed to decompress. Lately, I’ve taken steps to do just that in a way that works for me – under budget and in a timely manner. I have a number of tried-and-true methods that work for me, and I want to share them with all of you. So in case you need a reminder to slow down, enjoy life, and decompress from a long, stressful day, these should do the trick. As soon as I get home from a long day, I hop in the shower. I’ve been getting into this habit lately, and I can’t tell you enough how calm it makes me feel. I instantly feel like the stress and bad juju just melts away. The best part? I don’t have to wash my hair every single time – hallelujah! …and this doesn’t always mean clothes. Think of something nice that you have that also makes you feel good. For me, that’s lathering on a yummy face lotion, crawling into my yoga pants, and putting on my favorite perfume. 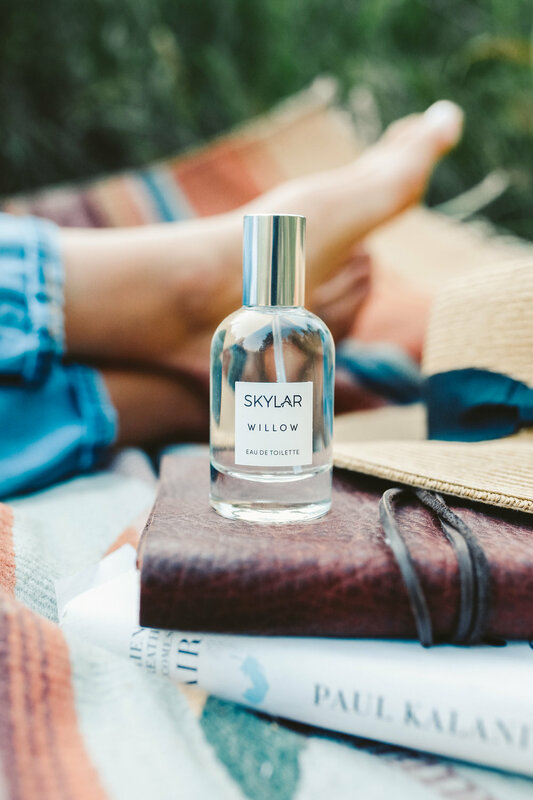 Lately, I’ve been lovin' on the Willow scent by SKYLAR that makes me feel that everyday serenity of being out in nature. Willow is also a vegan, handcrafted, and hypoallergenic scent that uses ingredients sourced directly from the woods such as galbanum and benzoin tree. 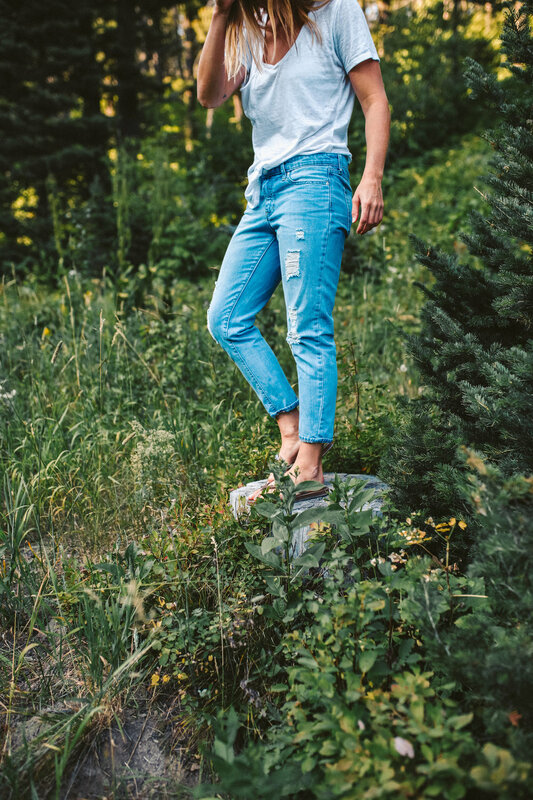 SKYLAR also donates to the National Forest Foundation – I mean how cool is that! By using Willow, I feel the same peace and tranquility I do in nature, even after a long and stressful day. Seriously. Whether you work for a big Fortune 500 company or from home for yourself, taking a day off can do wonders for your stress levels. Remember, companies give you sick days for a reason and you work for yourself for the freedom. Use it. Being outside in nature can do wonders for your stress levels. Even if you don’t live near the mountains, it can still work for you. Leave your phone at home, put on your comfiest waking shoes, and take a walk around your block. I find this really works when I leave all distractions at home and focus on the breeze in my hair, the sounds I hear, and my feet hitting the ground. Although a little bit of stress is good for your body form time to time, it shouldn’t be the driving force behind everything you do. A stressful day at work doesn’t have to ruin your entire day. I bet if you try a few of these necessary steps, you’ll lower your stress levels and increase your capacity for joy. What other ways do you like to decompress after a long day at work?